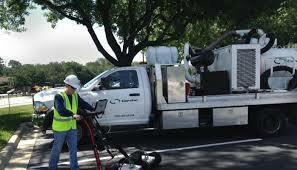 Mapping underground utilities using the latest technology and proven methods more readily pinpoints underground conflicts and mitigates the risks of change orders and project delays. Cardno senior project manager Rhett Sloan will discuss the benefits of subsurface utility engineering and its application to a spectrum of projects – from heavy civil to industrial – at the Gulf Coast Industrial (GCI) Expo on Tuesday, February 2, in Gonzales, Louisiana. The GCI Expo connects business, industry, and suppliers in the Gulf Coast for capital projects, expansions, upgrades, retrofits, turnarounds, shutdowns, and maintenance, including the people, equipment, products, and supplies to complete them. Rhett will discuss the benefits of applying the Standard Guideline for the Collection and Depiction of Existing Subsurface Utility Data (CI/ASCE 38-02) during the design and construction phases of projects to assist with damage prevention as well as the technical aspects of its four quality levels of subsurface utility engineering, CI/ASCE Quality Level D – A.
Rhett is based in Baton Rouge, Louisiana, and oversees Cardno’s surveying and mapping, subsurface utility engineering and utility coordination services provided throughout the gulf coast region. His responsibilities include: client relations, project estimating and scheduling, and ensuring all projects within his area are completed to meet or exceed client expectations. Learn more on the GCI Expo website.